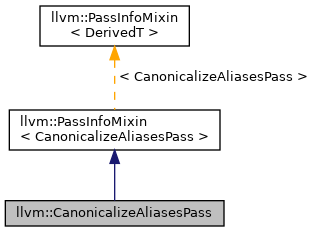 Simple pass that canonicalizes aliases. Definition at line 22 of file CanonicalizeAliases.h. Definition at line 87 of file CanonicalizeAliases.cpp. References llvm::PreservedAnalyses::all(), INITIALIZE_PASS_BEGIN(), and llvm::PreservedAnalyses::none().